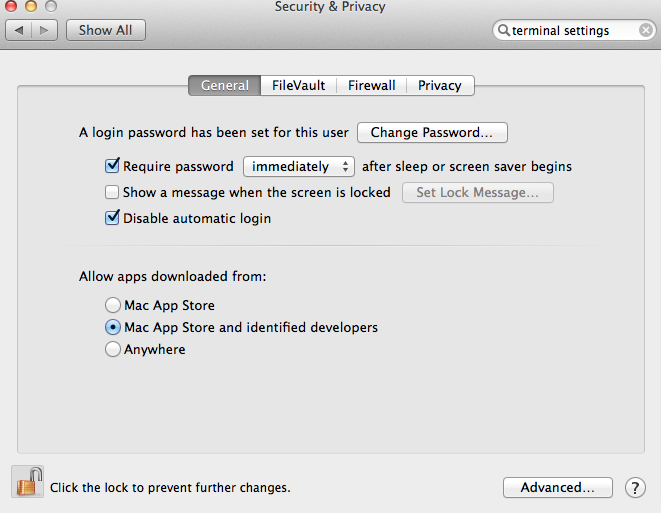 GateKeeper was introduced in OSX 10.8 (Mountain Lion) to help block malicious applications. Gatekeeper blocks launching of applications not meeting a certain criteria (see background below). 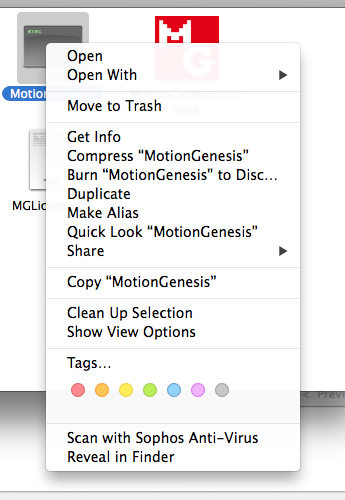 "MotionGenesis is damaged and cannot be opened." "You should move it to the Trash." Under "Allow Apps downloaded from:"
If necessary: Click the lock (bottom of dialog) and enter your password to allow changes. Confirm by pressing "Allow from Anywhere". "Mac App Store and identified developers"
Background: The new Macintosh OSX "GateKeeper" security feature is enabled by default. It prevents unsigned applications (e.g., not distributed by the Mac App Store) from launching.